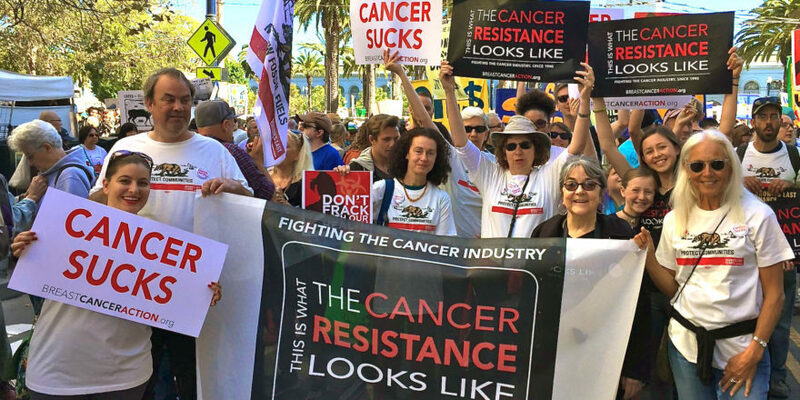 Contact: Angela Wall, Communications Manager (415) 243-9301 x16 awall@bcaction.org. Breast Cancer Action Case Challenging Human Gene Patents: U.S. Supreme Court Hears Oral Arguments. SAN FRANCISCO, CA—Oral arguments in the human gene patent lawsuit brought by Breast Cancer Action (BCAction) are today being heard by the Supreme Court. BCAction, the national watchdog of the breast cancer movement is a plaintiff in this landmark case challenging Myriad Genetics’ patents on the human BRCA1 and BRCA2 genes, known as the “breast cancer genes.” During the hearing, BCAction members from across the country and partner organizations are rallying outside the Court calling to outlaw human gene patents. Myriad Genetics’ patents on the human BRCA1&2 genes are sweeping, and cover the gene sequences and all variations, mutations and rearrangements of these human genes. These patents allow Myriad to control—and in many cases block—all uses of the human “breast cancer genes,” including development of diagnostics, therapies, drug development involving either of the human BRCA1& 2 genes. Information about common mutations on these genes can be potentially lifesaving for women who learn they have an increased risk of cancer. The test offered by Myriad is the only commercially available test in the U.S. and currently not enough women can get access to important information about their genes and cancer risk because the test is expensive (over $3,000), provides incomplete information on some mutations, and Myriad’s patent monopoly prohibits access to second opinions. The lawsuit, filed by the American Civil Liberties Union and the Public Patent Foundation, challenges the legality of the U.S. Patent and Trademark Office’s practice of granting patents on human genes. The case is Association for Molecular Pathology, et al. v. U.S. Patent and Trademark Office, et al.